What's the best place to watch Magic Kingdom fireworks outside the park? Nightly fireworks are one of the traditions of Magic Kingdom. Beautiful, emotional, and nostalgic, the fireworks at Magic Kingdom are a must-do for most people visiting the Walt Disney World Resort. Even though they are best viewed from inside the park, there may be times when you want to catch them from somewhere outside, instead. But where is the best place to watch Magic Kingdom fireworks outside the park? 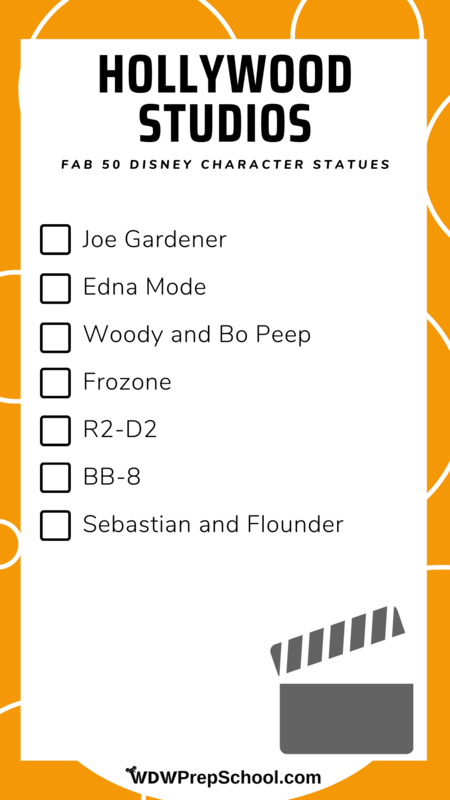 Check out our suggestions below! Should you see fireworks outside of Magic Kingdom? So, what do we think is best place to watch Magic Kingdom fireworks outside the park? Back when Wishes was the primary nighttime fireworks show at Magic Kingdom, it was a lot easier to watch the fireworks without actually being inside the park. That was because the fireworks were the main feature of the show and most of the action was taking place in the sky above Cinderella Castle, making it easy to see from far away. Happily Ever After, however, is a different story. While this is also a fireworks show, there is also a very large component of it that is done with projections on the castle itself. So, even though there are about the same amount of fireworks with this show as you saw with Wishes, there is a lot of storytelling that takes place via the projections (and not just through the music and fireworks). Because of that, we do recommend that you try to catch it at least once inside the park. That way you can see the show and projections together. However, if you have multiple chances to see it or if you are traveling with somebody that doesn't like the sounds or crowds associated with fireworks, then watching outside of the park is a good option. Looking to catch the fireworks for Mickey's Not-So-Scary Halloween Party or Mickey's Very Merry Christmas Party? These are all great options to view those, as well. These are our suggestions for the best places to watch Magic Kingdom fireworks outside the park. 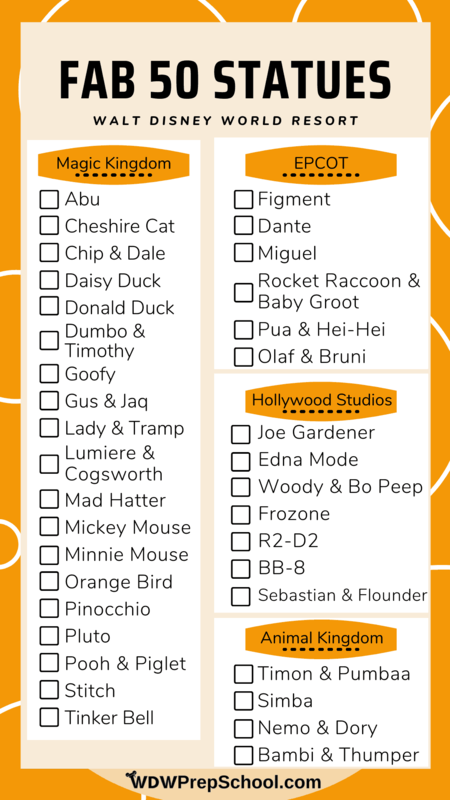 There are other options out there, but these all have good views and the music from the show piped in which make them great choices. Where to go: After arriving to the Transportation and Ticket Center, head towards the ferry dock (to the left of where you board the monorail). Pros: Because of the angle of the sidewalk, there are lots of fantastic views. Cons: You aren't allowed to stand on the actual dock, but instead will be positioned along the walkway heading to the dock. Pros: There is a viewing deck here that allows guests to watch the show from outside. If you can't get a reservation here during the fireworks, you can save your receipt and return before the show to watch from the deck. 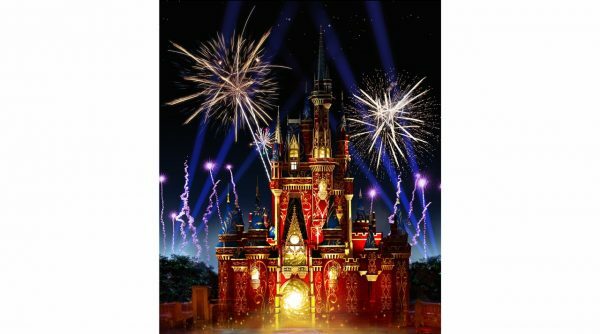 Cons: Because of the angle, the fireworks will appear off to the side of Cinderella Castle instead of directly behind and over it (they kind of look like they are above Space Mountain). Where to go: Either take the elevator or escalators up to the 4th floor (same floor that Chef Mickey's is on). The observation deck is just past the shops. Pros: This deck is open to anybody, not just to guests staying or dining at the Contemporary. Cons: This location is often used for private parties (like the Highway in the Sky Dine Around) which means some of the deck may not be available. Special Note: Disney Vacation Club (DVC) owners have access to the Top of the World Lounge at Bay Lake Tower for fireworks viewing. You must present your DVC Membership Card to gain access. Guests exclusively renting points (and are not owners) are not permitted to view fireworks from this location. It is important to note that there are blackout times when only DVC owners staying at Bay Lake Tower will have access to the lounge for fireworks viewing. These dates frequently include July 3 & 4 and December 30 & 31. Pros: The tiered seating area inside of the restaurant means that a large number of tables will have a good view of the show from their table. There is also a porch available outside that you can watch from. Cons: If too many people choose to watch from outside on the porch it tends to block the view for the guests inside. Where to go: After entering the Grand Floridian, head out the back of the building and follow the signs to Narcoossee's. The dock is located right next to the restaurant. Where to go: You can get to the patio from a sidewalk. After entering the Grand Floridian, head towards the back and outside. The patio is directly outside Gasparilla Grill. Where to go: After arriving, head through the lobby and out back towards the water (behind the pool). There will be spots to watch from the beach as well as just off the sidewalk. Pros: You can buy the popular Dole Whip inside the Polynesian. Cons: The audio here is notoriously soft. Stand near one of the speaker for the loudest sound. Pros: The view of the fireworks from here appear straight on and not off to the side. 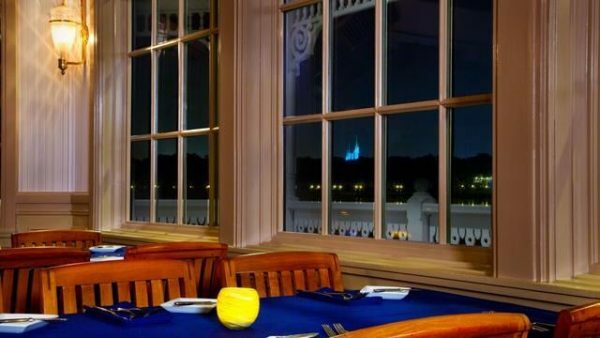 If you aren’t able to book an Advanced Dining Reservation that will allow you to dine during the fireworks, you can try to snag one for earlier in the evening and then move to the beach to view from there. Pros: This is more than just a fireworks cruise. Before boarding, guests that book the Pirates and Pals Fireworks Cruise are served a variety of snacks and drinks. Also during this time, Captain Hook and Mr. Smee make an appearance to meet and greet their pirate pals. After boarding the ship, guests are treated to trivia and songs as they await the fireworks from a prime location in the water just outside the gates of Magic Kingdom. At the conclusion of the evening (weather permitting) you'll be able to see the Electric Water Pageant as you disembark and meet up with one final special guest - Peter Pan. Cons: Outside of the cost, guests have reported that the people on the side of the boat furthest away from Magic Kingdom can sometimes have their view obscured a bit. Pros: Another firework cruise option, this one has a more "adult" feel than the Pirates and Pals cruise and since it takes place on a ferry boat you're more free to move around. Alcohol is also served on this cruise. Read our review on the Ferrytale Fireworks: A Sparkling Dessert Cruise. Location: Check-in at The Wave at the Contemporary Resort. Pros: Unlike the other premium options for viewing the fireworks outside of Magic Kingdom, this isn't a cruise. 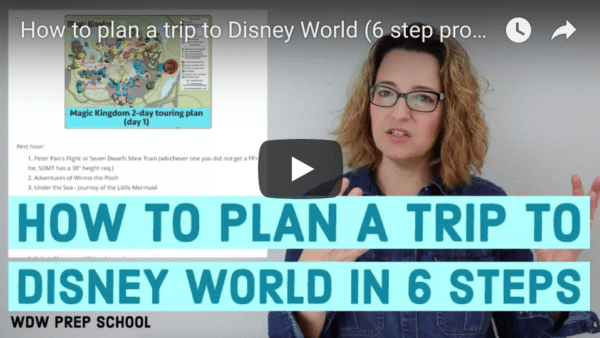 Instead, it is a progressive dinner that starts and ends at the Contemporary with stops for courses at The Polynesian and Grand Floridian. 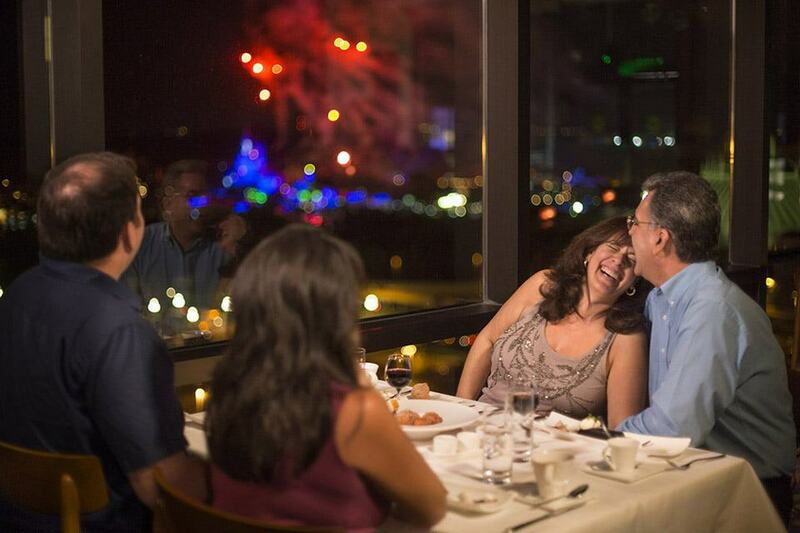 The grand finale is dessert while you watch the fireworks from the 4th floor deck of The Contemporary. Cons: We do not recommend you do this option as one of the best places to watch Magic Kingdom fireworks outside the park since you can often view the fireworks for free from the exact same observation deck offered in this package. Cost: starts at $299 for a 21-foot pontoon (seats up to 8) and $349 for a 25-foot boat (seats up to 10). Tips extra. Pros: The price for these cruises are the total cost (not per person) so they can be a great option for a premium/special evening without breaking the bank. 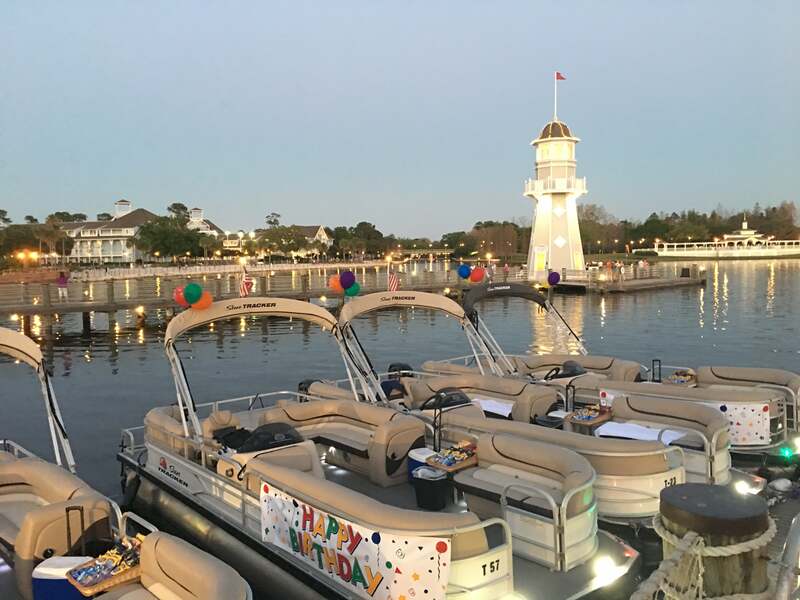 If you're celebrating something special, you can even purchase a special package that will add banners to your boat. Cons: The boats for this cruise are positioned further away than those for the Ferrytale Fireworks and Pirates and Pals cruises. 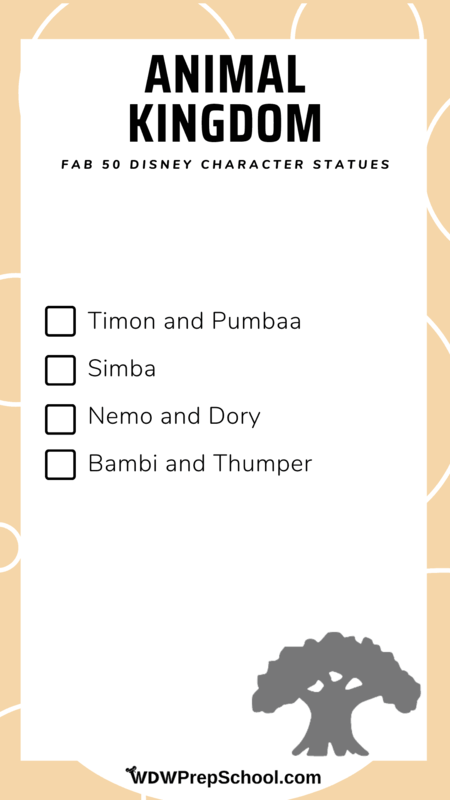 We have 3 favorites, actually. 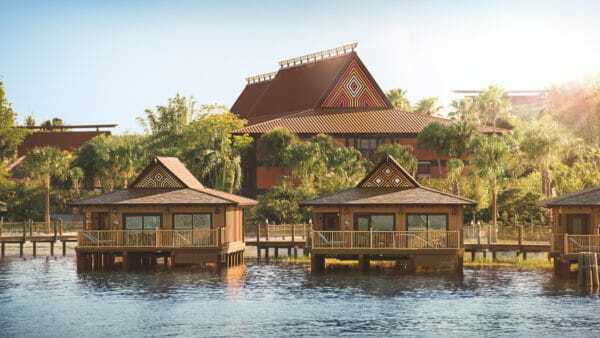 If you want someplace free to watch, go with either the beach at the Polynesian Resort or the Transportation and Ticket Center dock. 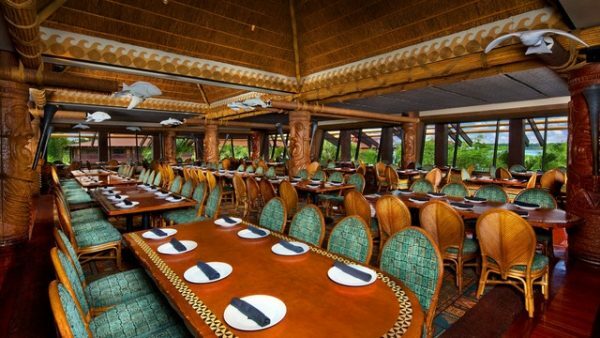 The beach at the Polynesian is nice if you are already planning to dine there that evening or if you want a place where you can also grab a drink or snack, do some exploring, or even some shopping. The dock is great for people that want to leave the park early but still want to watch the show (and get a head start on heading to the parking lot) or for people that just want an easy spot to watch with no fuss. If you're looking for something extra special, however, you absolutely can't beat the experience that California Grill offers. Fantastic food, amazing views, and top notch service. The trifecta of perfection! What do you think? 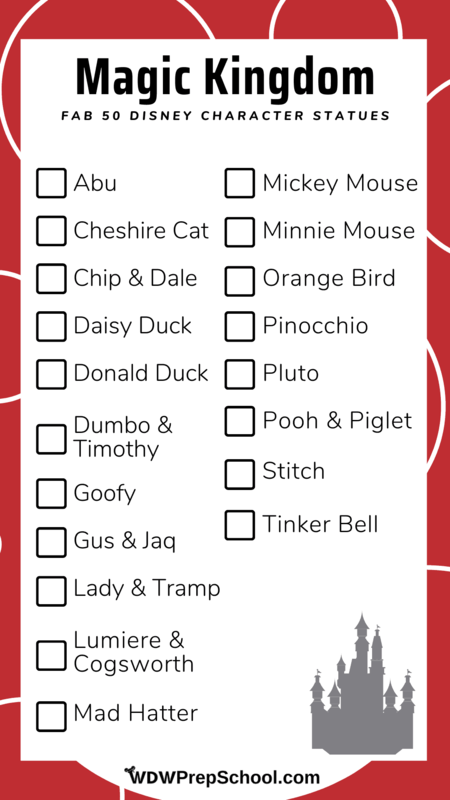 Do you have a suggestion not on the list above for the best place to watch Magic Kingdom fireworks outside the park? Let us know in the comments! We tried to watch from The Poly beach last night. Security wouldn’t let us in. I’m not sure if it’s cause we were driving, but the security officer said they were not allowing unregistered guests in anymore. If you were using Disney transportation it might be ok, but he also said anyone without a reservation would be asked to leave. Would they check room keys on the beach now I wonder? What are your thoughts on being in the park, but watching from up top at the Train Station (for a quick post HEA getaway). Is that area usually a crowded mess do you know? The beach at Ft. Wilderness is great as well. Even pipe in the sound. Great place for little ones to play in the sand while others watch the show on lawn chairs.